ArtTactic’s Market Confidence Surveys provide in-depth analysis of market confidence based on data gathered from ArtTactic’s network of industry professionals and tastemakers. The interim poll provides a brief overview of the current economic climate in the art world given the growing concerns in the industry. 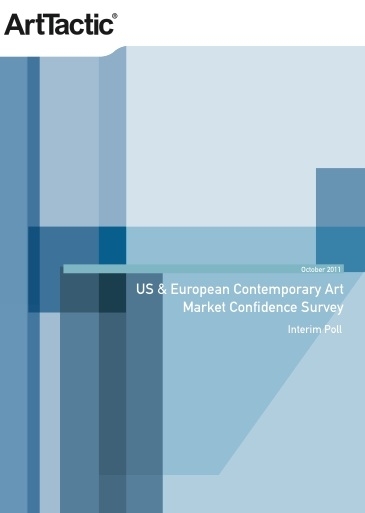 The recent interim sentiment poll by ArtTactic, suggests that the art market could start to feel the pinch in the next 6 months, as the main Confidence Indicator drops 55% from June 2011, and is now finding itself in negative territory, with the majority of the respondents turning negative to the 6 month’s outlook for the US & European contemporary art market.